We are a dynamic Ghanaian brand, inspired to elevate our culture. 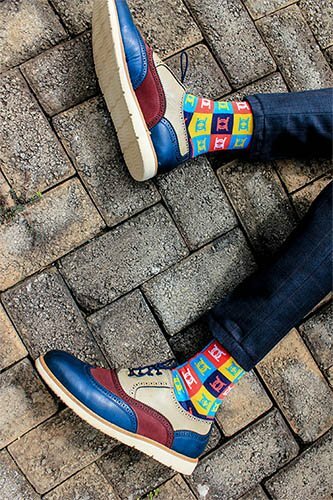 We make authentic, vibrant African socks, drawing inspiration from our unique cultural symbolism and motifs. Our beautifully cultivated patterns, and carefully selected colours will inspire the world. Creativity surges through our veins, as our founder grew up in the Kente weaving town of Agotime-Kpetoe. He frequently observed expert craftsmen producing beautiful yards of Kente cloth. Quickly he learned to appreciate African art and craftsmanship. Absorbed into the cultural symbolism, the patterns, the colours, and the ever so thoughtful design process. This is where the story began, the story continues with Chale Socks.